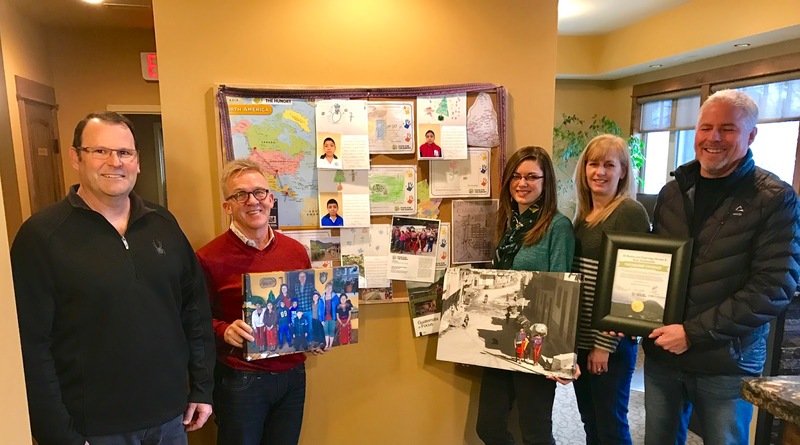 Staff at 3% Realty proudly highlight their sponsored children in Guatemala and their corporate partnership with the community of Acul. Various ideas were halfheartedly batted back and forth, but there didn’t seem to be a lot of interest. After a few attempts to prime the pump (seeing them give back interests me), I tabled the issue and moved on. In the runaway bestseller “Start With Why,” Simon Sinek tells us that employees first need a compelling ‘why’ before they fully engage at work. Ideally, the why is something that is bigger than the employee. What’s your company’s ‘why’? Is it only re-stocking auto parts, or manning an inside sales desk? If so, you might consider a corporate sponsorship where your company partners with a community to help lift that community out of material poverty. If you do, you’ll find the same thing will happen in your company that happens to all givers. You start with the assumption that you’re helping the community, and you end with the realization that most of the benefit is rebounding back to you and your team. Employees spend more time with you at work than they do with their spouses and families at home. Are you doing all you can to engage them in something bigger? About Trevor Throness: Since 1998, Trevor has been a coach to companies in growth. Trained in multiple systems (see the long list on his website! ), Trevor still believes that every company is unique and that every solution and tool needs be customized to fit individual situations. A true book lover, Trevor reads over 40 books a year and still makes time to connect with wife of 23 years and his four teenage children. He also enjoys playing guitar and listening to music, but is still recovering from G.A.S (guitar acquisition syndrome).